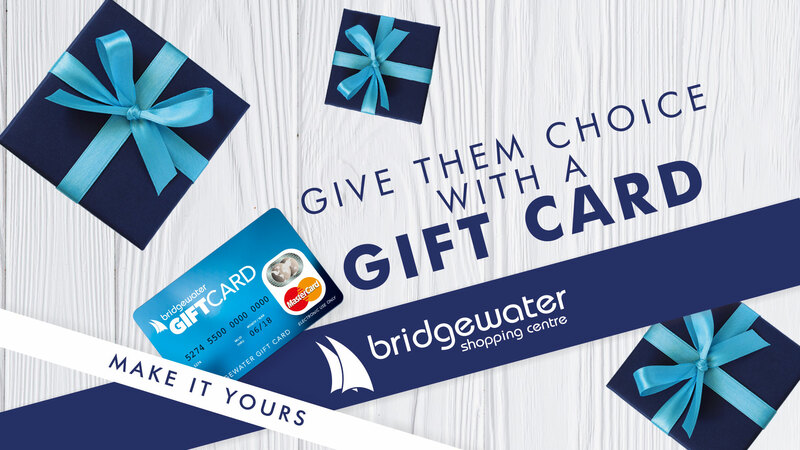 Gifting is easy with a Bridgewater Shopping Centre Gift Card. From fashion and food to entertainment and homeware there is something for everyone. Gift Cards are available to purchase from Eason or the Gift Card sales desk, open daily on the mall from 29th November 2018 – 24th December 2018. Gift Card balances can be checked online here. Please check your balance before making a purchase. Do you have a paper gift voucher? Please note if you have a valid paper voucher these can now be exchanged for a Gift Card at Eason. Do all Bridgewater Stores accept the Bridgewater Shopping Centre Gift Card? Your card is like cash. Please treat is like cash. You must sign the back of the card before using it. There is no need to use the full value of the card in one purchase. Please use your card within 12 months of purchasing / receiving it. A €3.00 per month management fee will apply on cards with a positive balance after month 13.